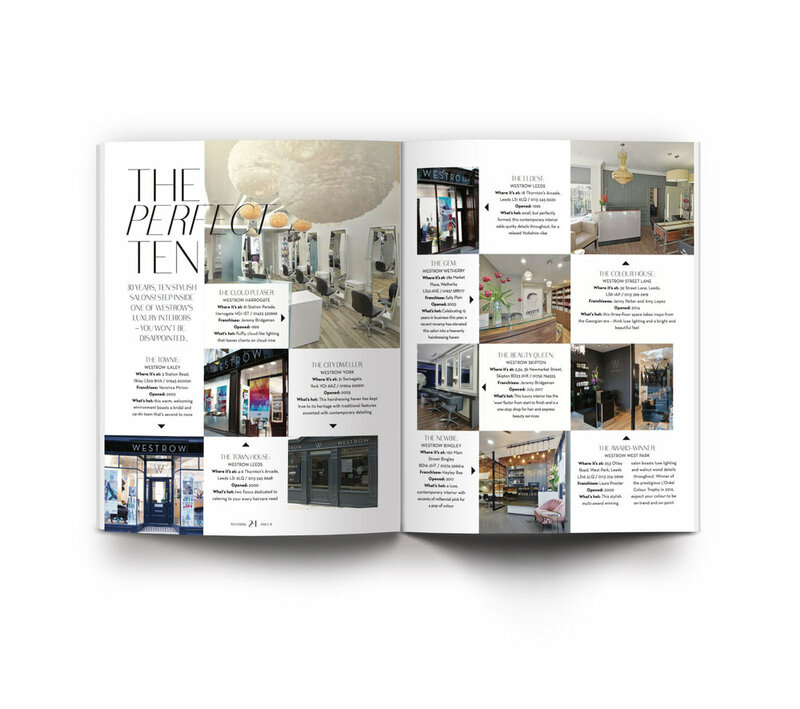 Working with experienced editors and a PR agency Nina Hunter offers bespoke marketing communication, magazine and brochure design solutions that are impactful and in line with your business. 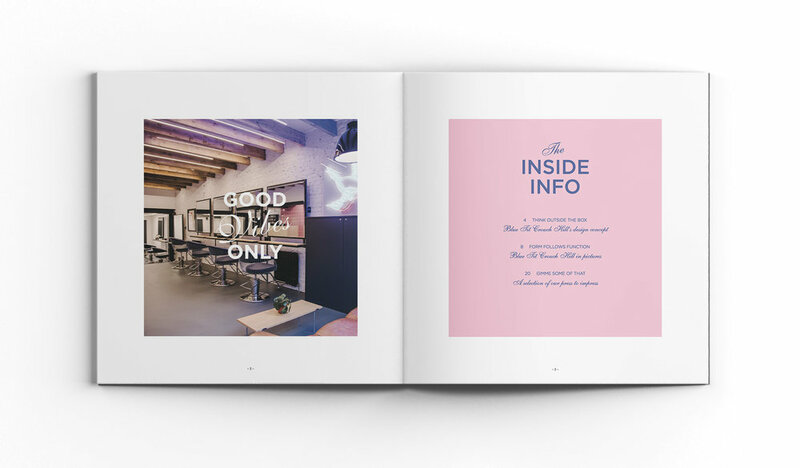 With your guidance and brand knowledge Nina will take care of the entire production process from concept to print leaving you with a beautifully designed, powerful publication that you will be proud of. Let’s start with a flyer and finish on the complete marketing collateral. 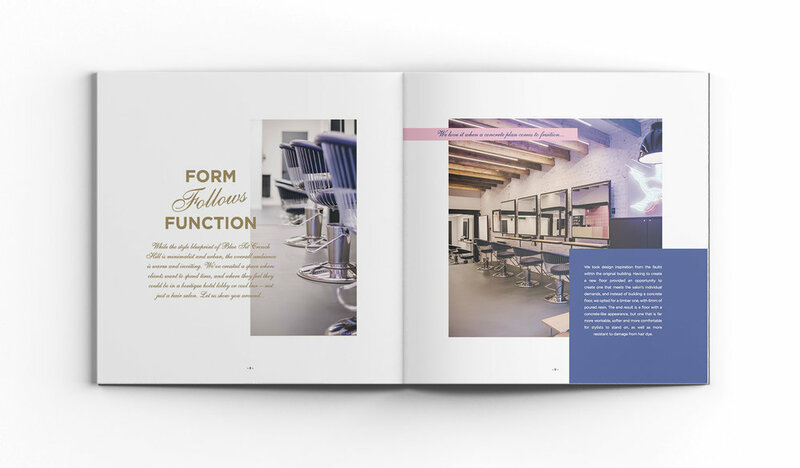 Interior brochure design for a chain of trendy hairdressing salons in London. The project has been thoroughly reserached and designed with its hip target audience in mind. Business-focused, British Hairdressing Business Award winning entry design for a Yorkshire based successful company.